No matter how experienced and well-versed you are as a landlord, the probability of your tenant filing a lawsuit against you cannot be overlooked. Once a lawsuit has been filed in court, both parties are legally bounded to go through the tiresome process of attending the hearings or settle the dispute outside the court by offering large sums of cash or giving in to the tenant’s demand. But, you can evade all the hassle by being a good landlord. 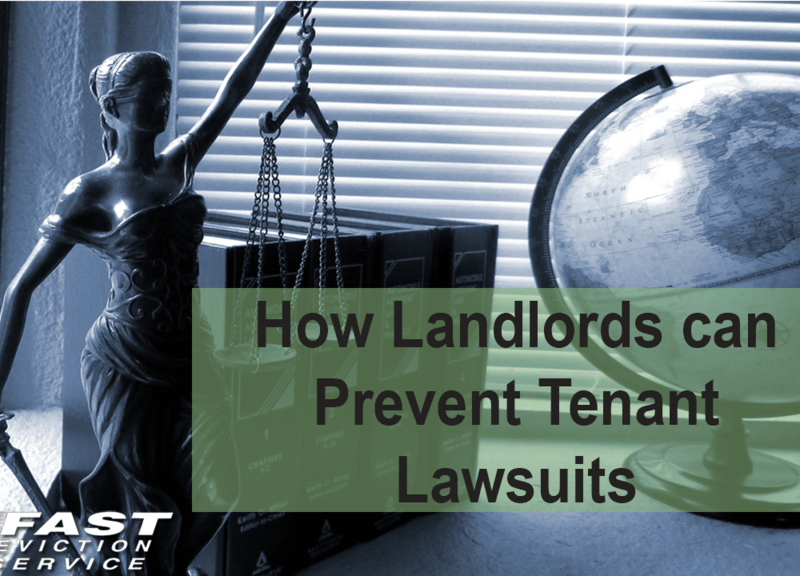 Landlords can actually prevent lawsuits by simply being attentive, hardworking and proactive. This requires excellent property management practices. Here are the best practices that might help you in preventing and avoiding tenant lawsuits. It doesn’t matter how long it takes, inquire about your prospective tenants properly. Check their criminal record and credit history not just the background. In this regard, tenant screening software is helpful tool to perform thorough screening of potential tenants. Wondering how tenant screening will help in preventing lawsuit? Well, it will at least alert you about previous history of the tenant; if he or she has been involved in a lawsuit against landlord before or has been blamed by landlord for not paying rent or damaging the property. It is very important to treat your tenants well; be respectful and fair, don’t let them feel as if they are your servants or a second-class citizen simply because they have rented your property and you are the landlord. They are paying you the rent you demanded for your property and hence, deserve every bit of your respect and appreciation. If you don’t follow this key rule then the behavior may result in tenant filing for a discrimination lawsuit. Always create a comprehensive and all-inclusive lease agreement because ultimately it will be the only way out for you in the event of a tenant lawsuit. Lease is a contract that sets the terms and conditions both the tenant and landlord need to follow as well as all necessary details like terms of tenancy, security deposits, rent, occupancy limits, landlord’s visit to rental unit after tenants move in, fees, repairs and other aspects. Sometimes landlords include certain clauses like if pets and long-term guests are allowed or not and early termination of lease. Tenants love units that are safe and secure, which is why landlords need to make sure that they are providing a safe environment where tenants can reside without fearing about burglars, thieves and criminals. Before renting the property, do some assessment of the premises and nearby area, if you find something unfitting then take appropriate measures to improve protection. In case of ignorance towards safeguarding your tenants, landlords can be held responsible for the losses. Always pay attention to your tenant’s request for repairs and allocate a specific time after analyzing your schedule to visit the property and inspect the damage. You will find out that your tenants will start respecting you more and will take care of the property as well. Schedule the repair as soon as possible and get the job done by professionals only. If you won’t take repairing issues seriously, you will be held responsible for the injuries or damages caused by the malfunctioning appliance or broken lock, etc. The most devastating mistake many landlords make is that they never check or understand the housing and tenancy related laws of their state. It is very important for landlords to familiarize themselves with existing landlord-tenant laws in your state regarding rent, landlord and tenant rights, duties, security deposits and evictions. Many landlords inadvertently violate tenants’ rights and face lawsuits. Therefore, you must know the applicable laws, rules and regulations prior to renting your property to avoid expensive tenant lawsuits.